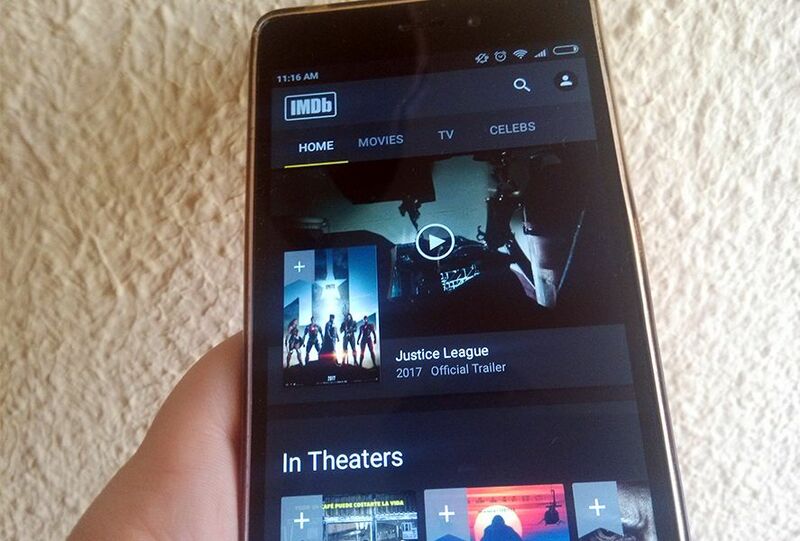 There’s no more important cinema app out there than IMDb. It’s a gigantic source of data and if you’re registered, its Watchlists is great for keeping track of which movies you want to watch – or checking out other users’ lists. This useful app has just come out in its seventh version and brings a list of important changes with it. Here’s the rundown. The changes to the UI are huge, with the traditional pull-out menu gone forever and a new set of buttons up top that take you to the app’s three sections: Movies, TV, and Celebs. To get to your profile and see your ratings and Watchlist, just go to the top right corner, where there’s a button to go to your account. One might say that the app has put its bets on a simplified interface and though it feels a bit odd at first, I’d say the change makes our lives as users a bit easier. No more slogging through long menu lists with sections you’ll probably never use. The app hasn’t lost any of its functions, but the space has been redistributed to make everything a bit more minimalist and quicker to access. 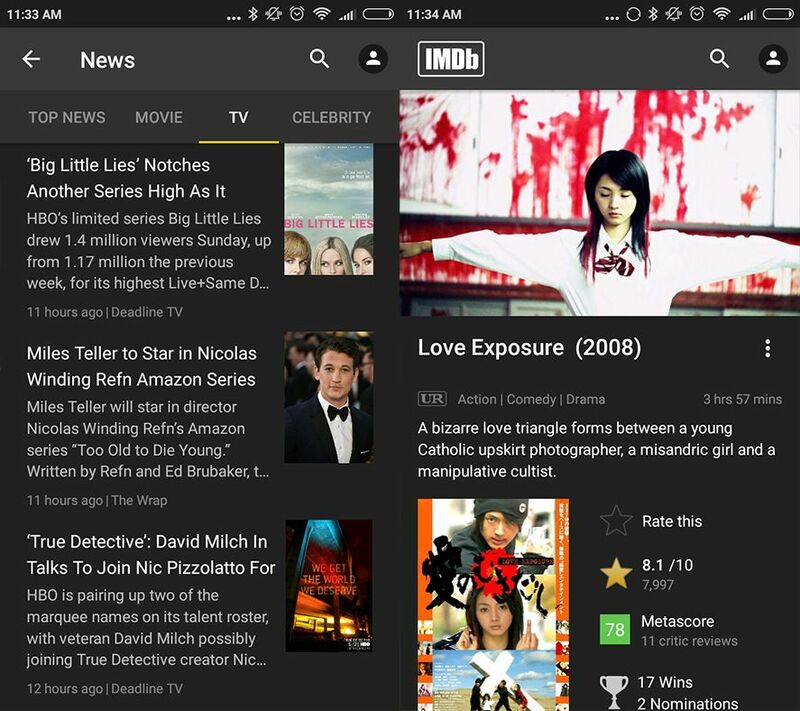 The IMDb app is a must-have on the smartphone of any self-respecting cinema buff. 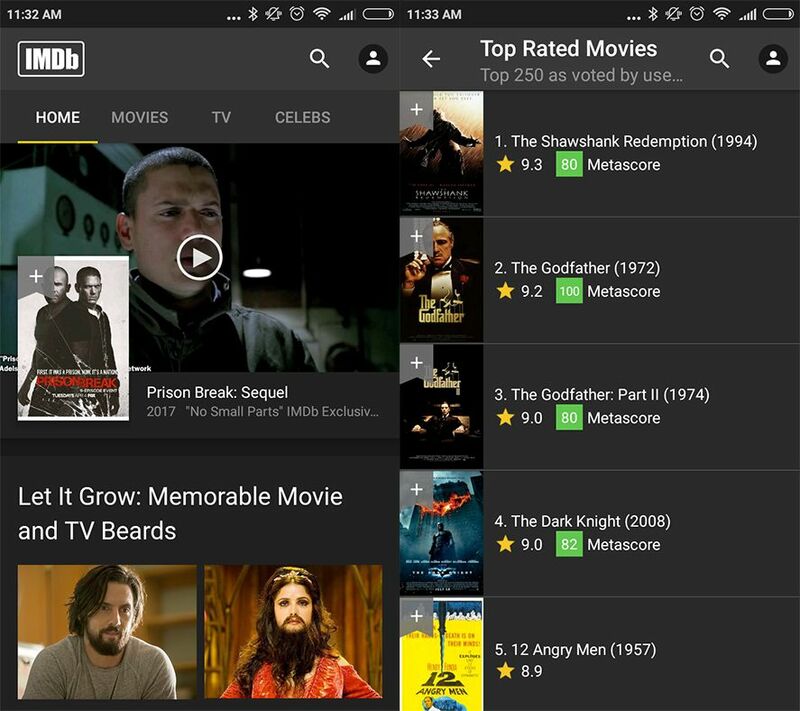 The movie recommendations may lag a bit behind sites like FilmAffinity or Letterboxd but in the universe of Android apps IMDb is the undisputed king. This version makes simplicity and ease of use – which often get sullied among all the pull out menus and other bits and bobs – the stars of the show.